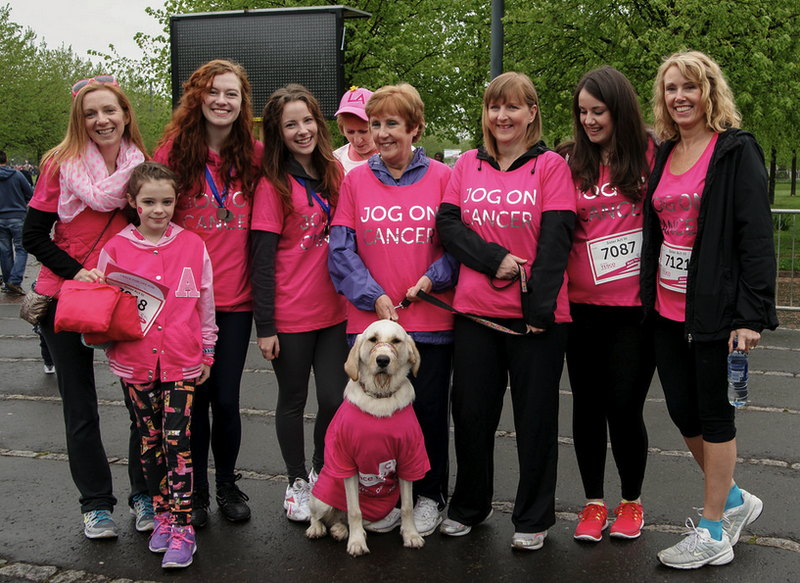 I was sixteen years old when my mum was diagnosed with cancer. Sophie was just twelve. For a lot of kids, that story doesn’t have a happy ending. For us, it was a happy beginning. 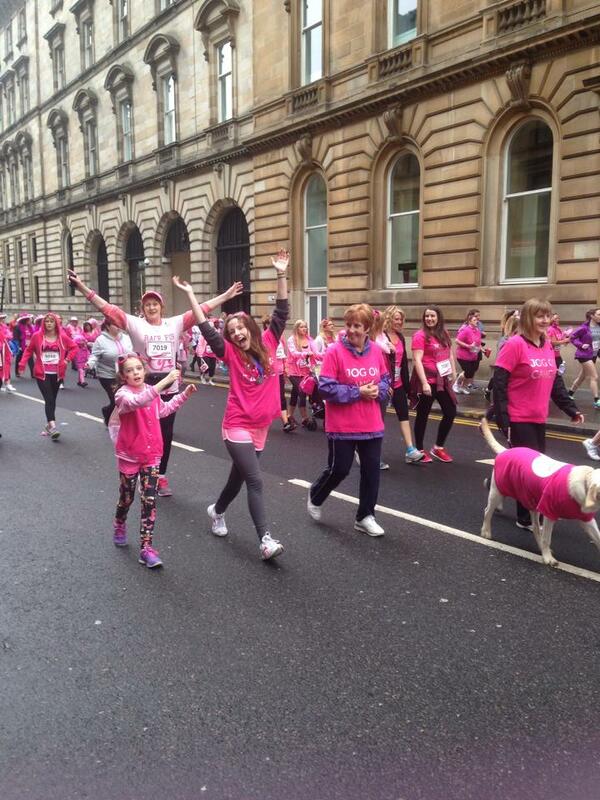 This is my mum, having just run the Race for Life, five years clear of cancer. 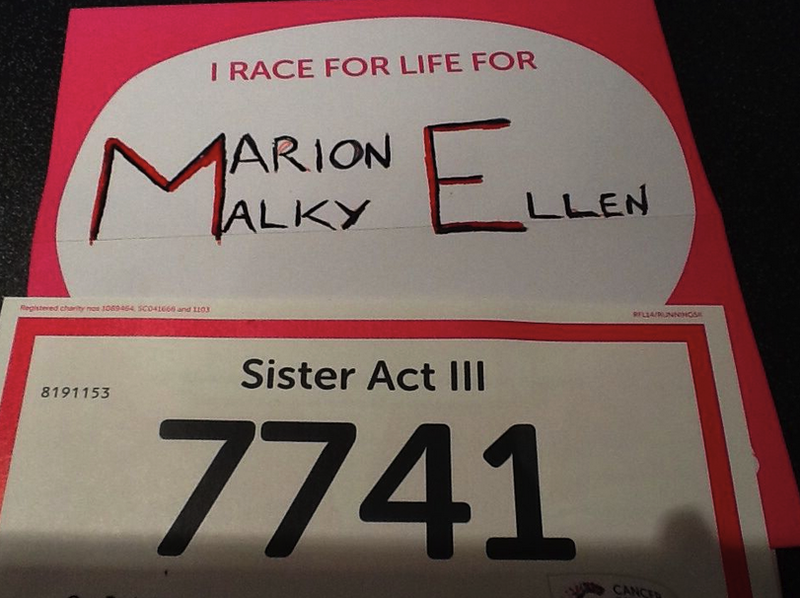 Since we decided that cancer could go shove it, the Race for Life has become a pretty big day in Sophie and I’s calendar. For those who don’t know (seriously, do you live under a rock, hypothetical reader? 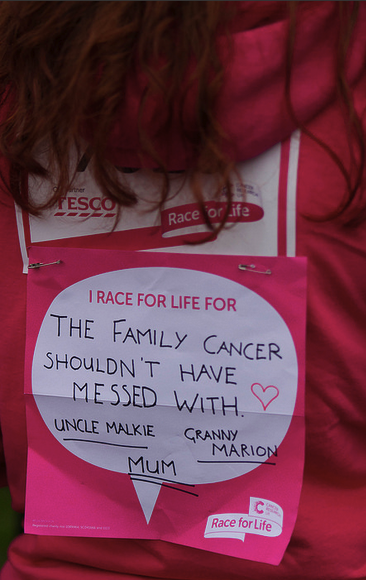 ), the Race for Life is Cancer Research UK’s biggest fundraising event of the year. 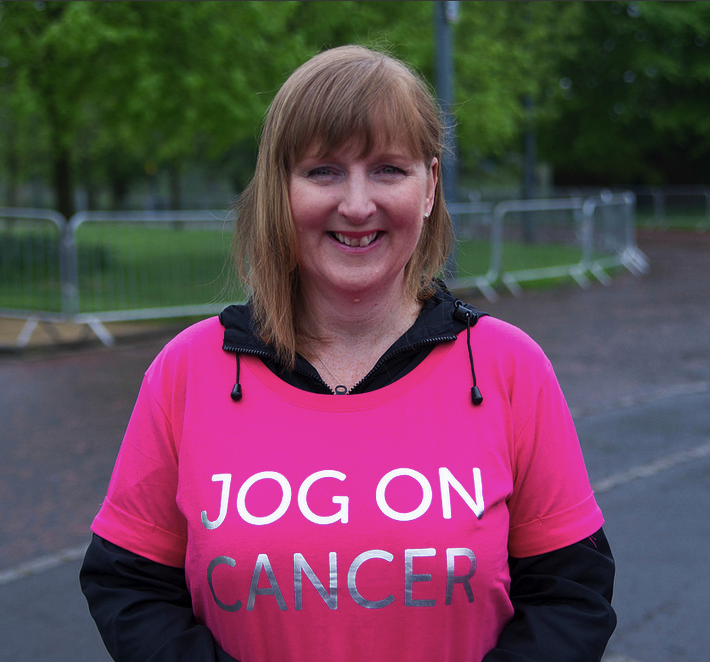 It encourages women to walk, run or dance 5 or 10k to raise money for research into all cancers. 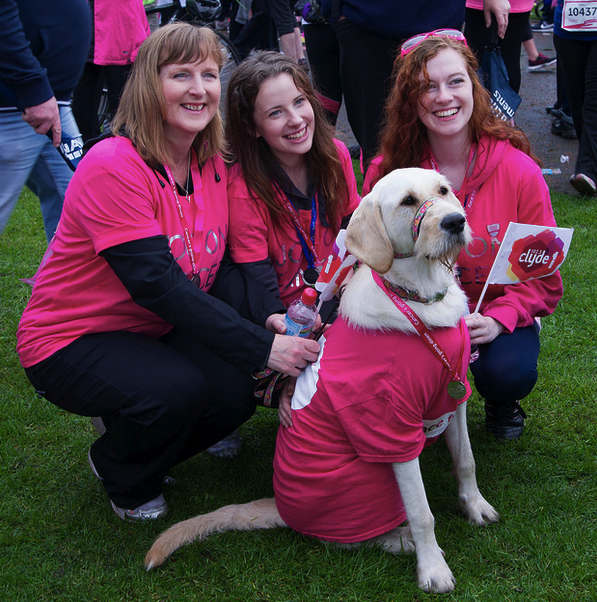 Don’t let the pink fool you, these guys are all about the less glamorous cancers. Wassup pancreatic cancer, we are coming after you. 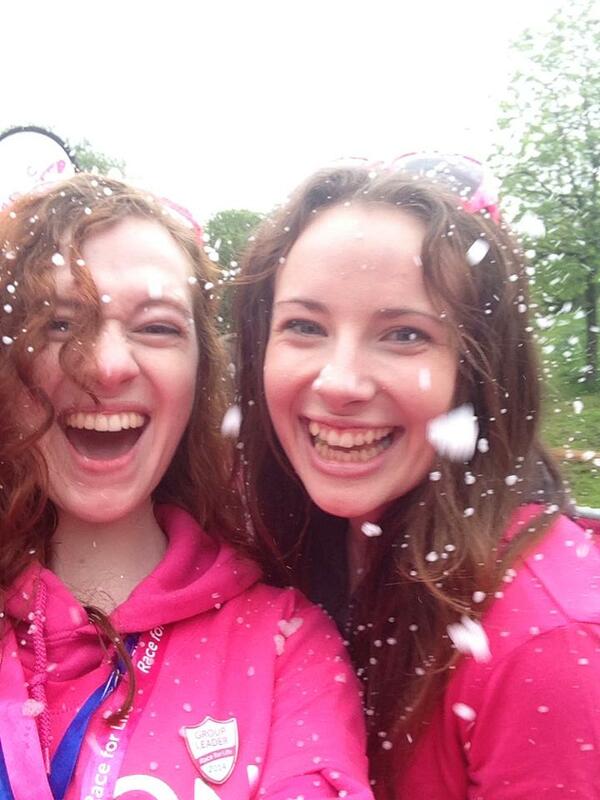 This year, our third Race for Life, we somehow managed to rope in pretty much all of the women we are related to and created the most thoroughly babein’ running team of all time. I say babein’ now. Deal with it. Yes. Yes we did put our dog in a tshirt. And I stand by it as the greatest decision any of us have ever made. Go on, tell me you’ve seen something better than this today. I dare you. We are racing for all of us. We are racing for everyone. One in three of us will be affected by cancer in our lifetime. 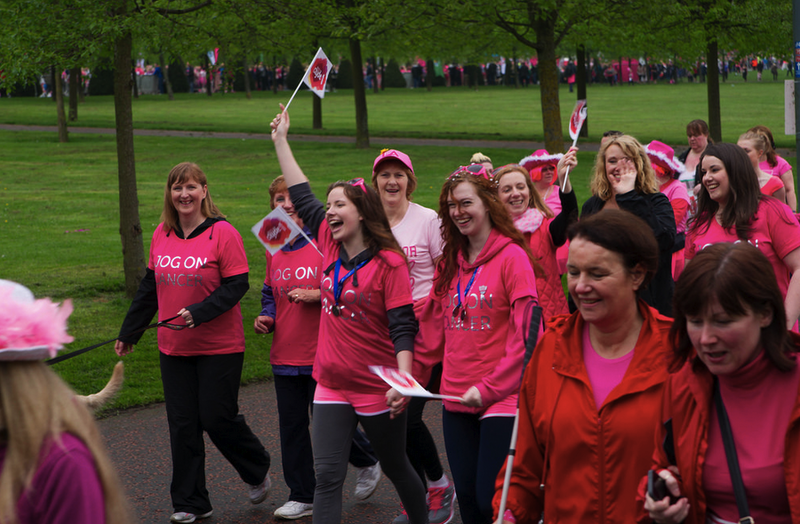 Research funded by events like the Race for Life means that cancer survival rates have doubled in the last 50 years. Even a humanities student like me can tell you, that’s some damn good maths. The thing I find funny about the Race is that everybody congratulates you as if you’ve done something really incredible and amazing and brave. But the truth is…well, I mean, look at those photos. Running (and by running, I obviously mean walking) the Race is loads of fun. The heroes are the ones who gave up their daily coffees and threw a fiver our way. Who sponsored us again, even though they’ve given the past two years. Who managed to find a little bit of money, even though they’re totally skint. We even had real life superhero creator Mark Miller make a stupidly generous donation of £100 after I very cheekily reminded him of that one time that we met this one time. Every penny added up to an incredible, target-busting £1100. To everyone who donated and supported us, you are my full on heroes. Honestly, I love you and you are so much more excellent than I can ever hope to be. I want to bake you all delicious cakes and have them hand delivered to your door by your choice of handsome young man or lady. It is because of people like you that my mum is still around to buy a dog and dress her in hilarious novelty tshirts. 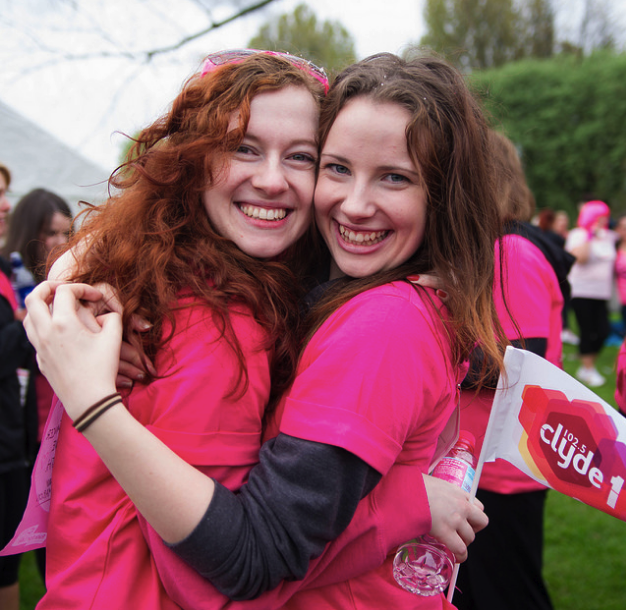 If you’d like to find out more about the Race for Life and the research it funds, check out their website here! If you’re feeling a bit heavy with all your moneybags and want to become one of my lifelong heroes, you can sponsor us here! I will personally start your fanclub.